I have to admit it. This meal (much like many) happened a while back in the summer. However, for some reason or another, I wrote half of it and did not finish until now. No rhyme or reason really. Much like in the past, I would push schoolwork that was due at the end of the term until the day before. Procrastinator? Absolutely! Okay, with that out of the way... Last year, Viv and her coworkers crammed into Seb's Market Cafe across from Anna's Cakehouse on Broadway for some brunch. She remarked that the food was pretty good and of course I filed it away in my "to eat" list. As circumstances presented itself, it took me a year to finally make it out for brunch. Hey, it's not like we didn't want to pay it a visit, it just seems that always something else comes up. Well, more like something newer and flasher that piques my interest. Fine, I'll put my "get caught-up in the hype" hat down for today. Sometimes, the small little places dish up the best food despite no glitz whatsoever. Reminiscent of the many eclectic establishments in Portland, Seb's certainly has character and charm. It's quite homey and so is the service. I'm not really sure of the overall theme of the place since the menu seems all-over-the-place. 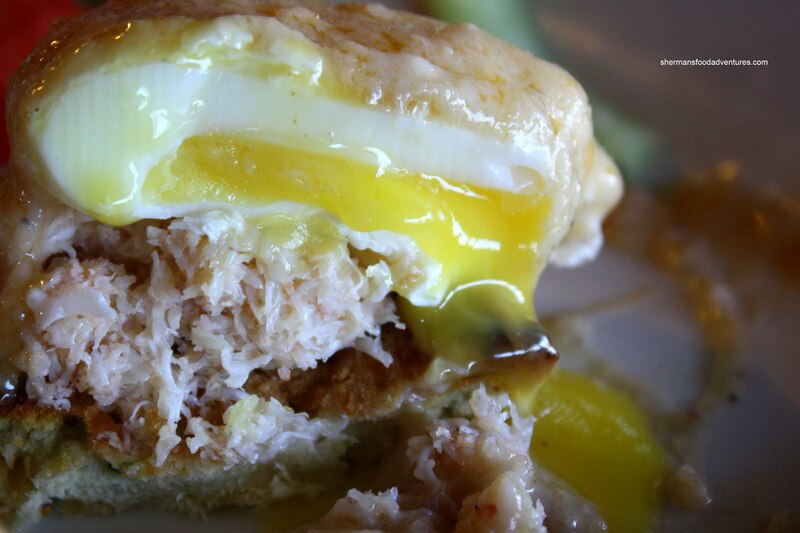 Case in point, I had the Seb's Benny on a savory biscuit with crab meat and Thai coconut sauce. Certainly sounds interesting eh? Usually, this type of fusion is disastrous; yet it was certainly not the case here. Consisting of a perfectly free-hand poached egg, sweet crab meat with a mild and fragrant coconut sauce - this was a tasty Benny. The crab was in no way masked by any of the components including the sauce. In that way, the entire dish worked. 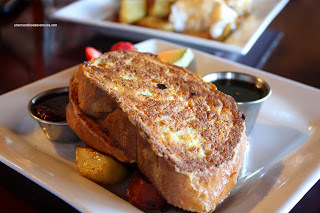 Viv got the French Toast which comes with a choice of banana bread or French bread. She went for the latter. Nothing particularly amiss with this dish. Maybe slightly aggressive with the pan fry on the egg; but it didn't adversely affect anything. The main thing is my son ate it, so all is good. 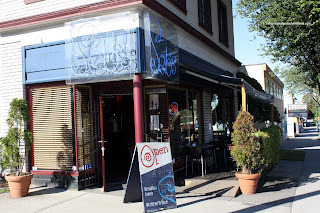 With the 2 dishes we sampled combined with Viv's previous visit, Seb's offers up some pretty solid food with some twists. Definitely homey and personable service to boot. I will be back. I wanted to go to Heidi's Cafe today but it was closed so I had to go to option #2. Wish I hadn't. It started out fine as the interior was interesting with some artwork on the wall and very bohemian type diners. 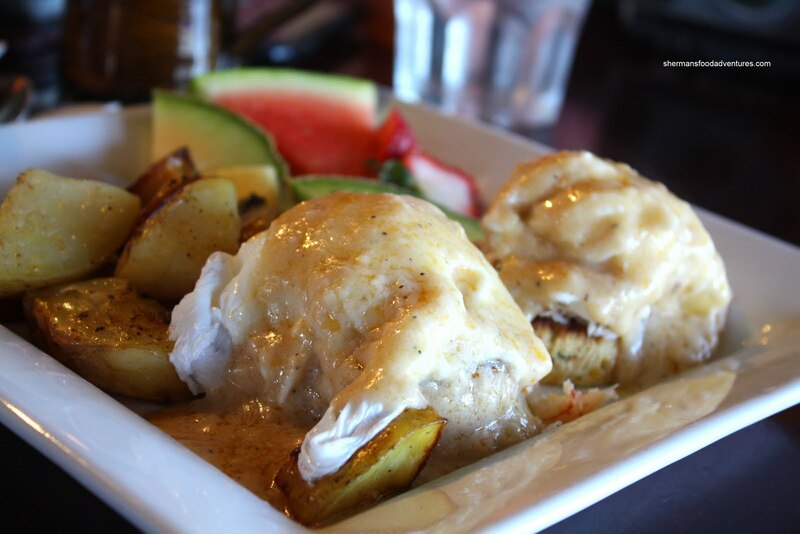 However, my salmon benny was overdone and the coconut sauce reminded me of dish water. The strange tasting organic coffee did not improve my experience, nor did the table of people with bad B.O. beside me. I guess I'll have to go to the Roundel Cafe to get my fill of fresh and well made breakfasts. @Holly I'm not surprised actually. My wife's workplace booked the restaurant for a lunch and they actually ripped them off on a few things. I should really revisit and re-evaluate.